On Earth it is known for its good value skiing, its Black Sea resorts and its proud Slavic culture. But Bulgaria’s fame stretches far beyond our own planet, it seems: the country’s space research institute claims it is in contact with aliens. Clearly the aliens’ in-flight movies during their trek across the Milky Way did not include any Hollywood blockbusters. 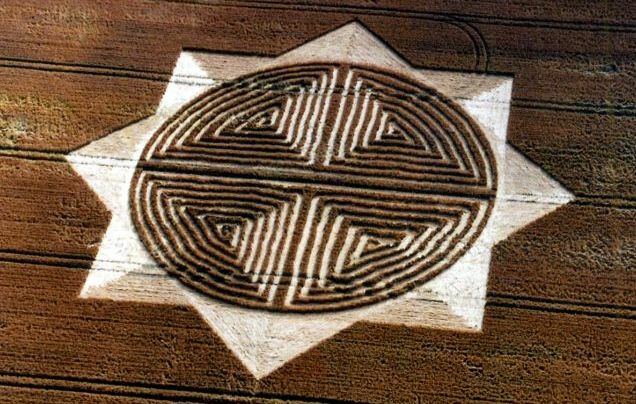 The Bulgarian researchers are now analysing pictograms contained in 150 crop circles which have appeared around the globe in the past year. The team believe the field markings contain the answers to the posers they beamed into Space. Lachezar Filipov, deputy director of the space research institute, said: ‘Aliens are currently all around us and are watching us all the time. ‘They are not hostile towards us, rather, they want to help us but we have not grown enough in order to establish direct contact with them. Mr Filipov said he believed humans and aliens would have direct contact in the next ten to 15 years. But it would be through telepathy rather than radio waves, he added. I have it from reputable and erudate sources I cannot divulge at this time that there has been amazing progress in human-alien diplomatic efforts through LSD-fuelled tantra-rituals when surrounded by zirconium crystals ordered in a fractal pattern with enya playing in the background. I find it interesting that the subject of this important article is referred to as 'Mr.' and his team referred to only as 'researchers'. 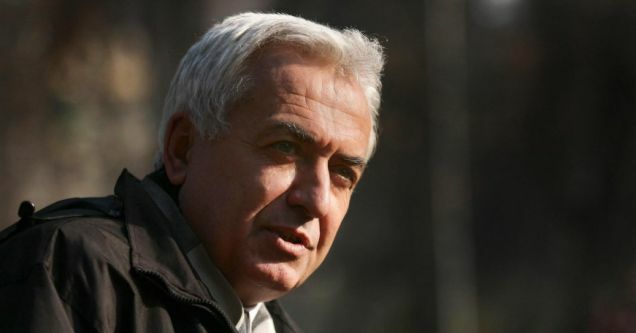 This man holds a Doctorate (Bulgarian equivalent) and is the head of the 'Bulgarian NASA', the countries foremost university in Astrophysics. He heads a team of SCIENTISTS, conducting scientific research. He is not messing around. I suspect he had been initially allowed by the powers that be to disclose his teams findings without censorship because of a power struggle at the top of the bulgarian government. Prime Minister Boiko Borissov flexing his newly elected political muscles. It appears to me that within that 24 hours of the first press conference, he has been 'persuaded' to change his 'interpretation' of the teams findings to fit with the patronising tone of suppressing media spin such as this very article. Which is a tiresome thing indeed. Могу попит пива 100! Али ко ће платит то?!!! Први контак са Бугарима!? Хмм! LONDON (AFP) – Aliens may exist but mankind should avoid contact with them as the consequences could be devastating, British scientist Stephen Hawking warned Sunday. "If aliens visit us, the outcome would be much as when Columbus landed in America, which didn't turn out well for the Native Americans," said the astrophysicist in a new television series, according to British media reports. The programmes depict an imagined universe featuring alien life forms in huge spaceships on the hunt for resources after draining their own planet dry. "Such advanced aliens would perhaps become nomads, looking to conquer and colonise whatever planets they can reach," warned Hawking. The doomsday scenario is suggested in the series "Into the Universe with Stephen Hawking" on the Discovery Channel, which began airing in the United States on Sunday. On the probability of alien life existing, he says: "To my mathematical brain, the numbers alone make thinking about aliens perfectly rational. "The real challenge is to work out what aliens might actually be like." Glowing squid-like creatures, herds of herbivores that can hang onto a cliff face and bright yellow predators that kill their prey with stinging tails are among the creatures that stalk the scientist's fantastical cosmos. Mankind has already made a number of attempts to contact extraterrestrial civilisations. In 2008, American space agency NASA beamed the Beatles song "Across the Universe" into deep space to send a message of peace to any alien that happens to be in the region of Polaris -- also known as the North Star -- in 2439. But the history of humanity's efforts to contact aliens stretches back some years. The US probes Pioneer 10 and 11 were launched in 1972 and 1973 bearing plaques of a naked man and woman and symbols seeking to convey the positions of the Earth and the Sun. Voyager 1 and 2, launched in 1977, each carry a gold-plated copper phonogram disk with recordings of sounds and images on Earth. "Realism is a literary technique no longer adequate for the purpose of representing reality."